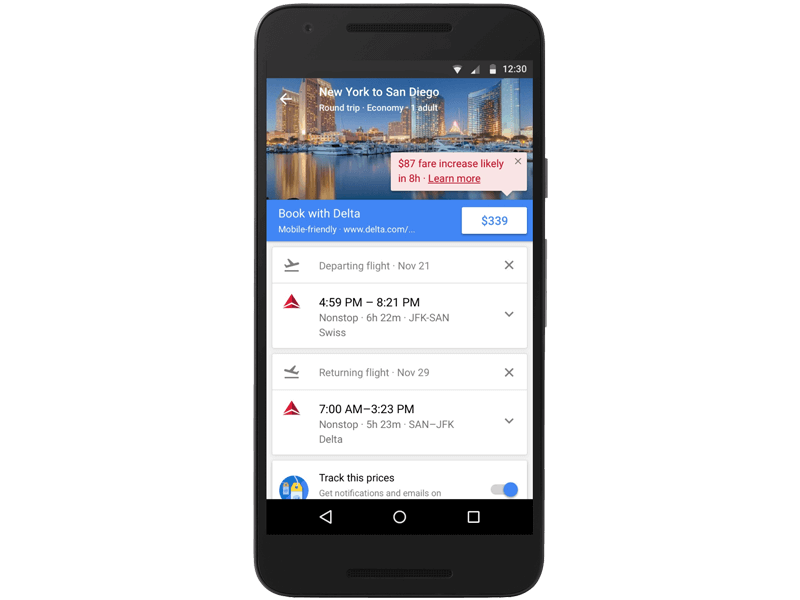 Google Flights announced today new updates around mobile notifications for airfare and hotel costs. 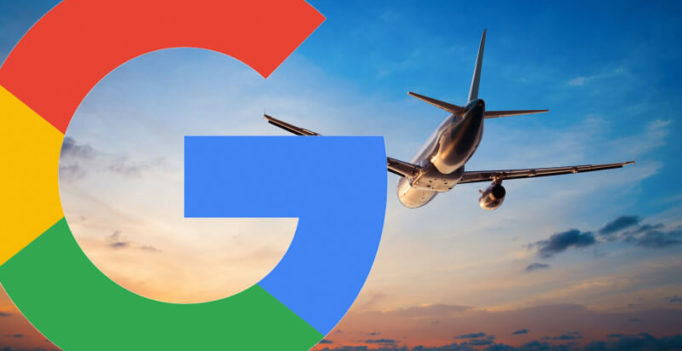 According to a post on Google’s Official Blog, Google Flights will now display when a current fare is expected to expire for a selected flight, and how much will be saved if a user books now. With the new updates, searches for specific flights or routes may include notifications with tips on finding the best airfare. Google says tips can range from alternative airports or dates for a route or flight to expected airfare increases based on historic prices for a specific route. Over the coming weeks, Google Flights also will be rolling out email notifications for airfare price drops or increases for tracked flights and routes. 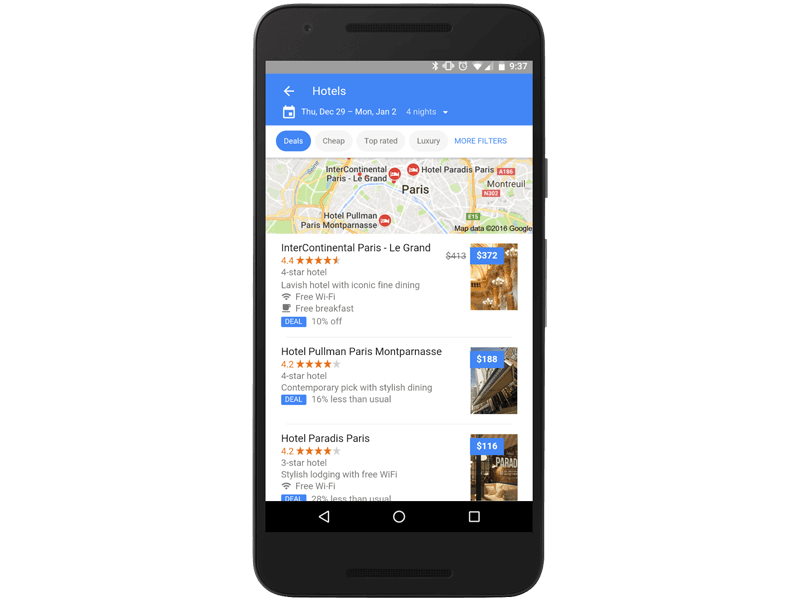 Google says it will also alert users when savings are available to a hotel’s loyalty members.